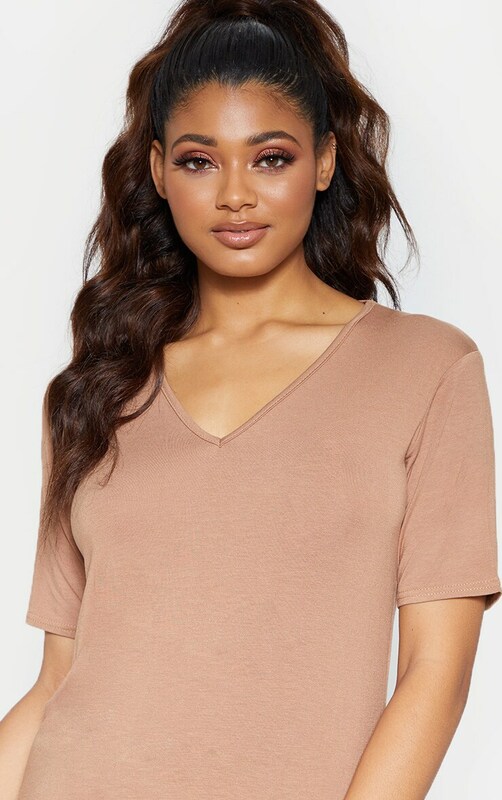 Neutral hues are perfect for styling with any outfit. 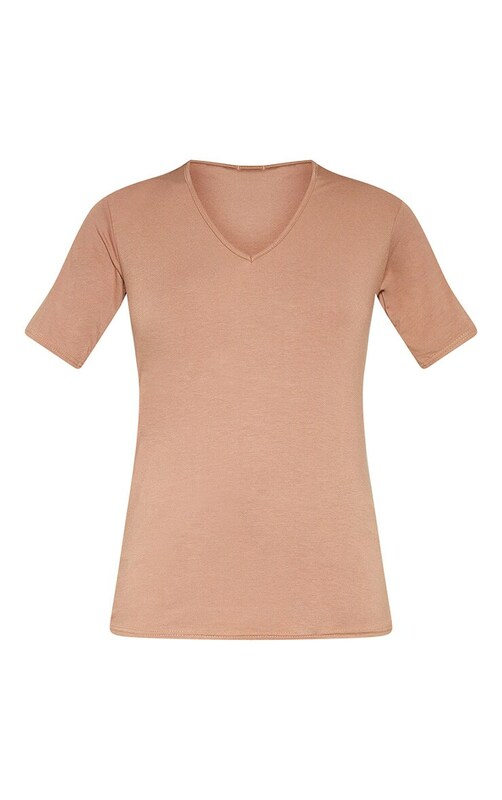 Featuring a camel material with a V neckline and short sleeves. 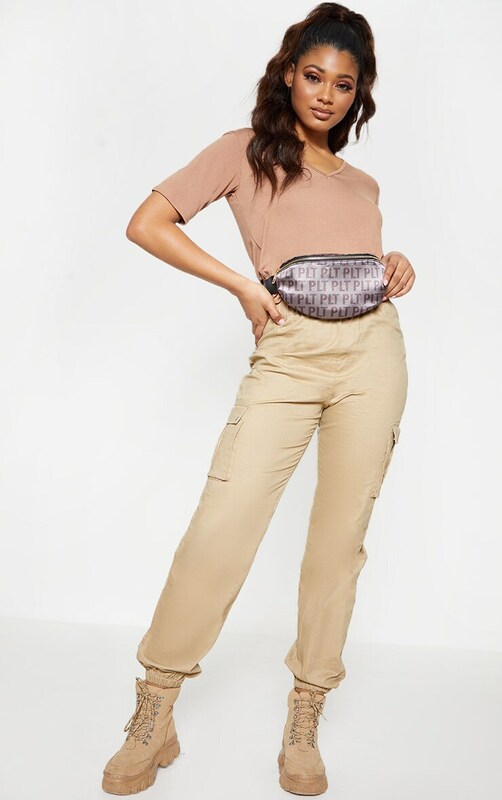 Style this with cargo bottoms and hiker boots to give your look a cool vibe.